The Tibet Center’s Co-founder, Marjorie Mortensen passed away today here in New York City. Marjorie was a great help to Venerable Khyongla Rato Rinpoche when he first arrived in the United States and played a central role in the founding of The Tibet Center in 1975. Born August 31st, 1936 in Jackson Michigan, she graduated from Michigan University, where she studied literature and Interior design. 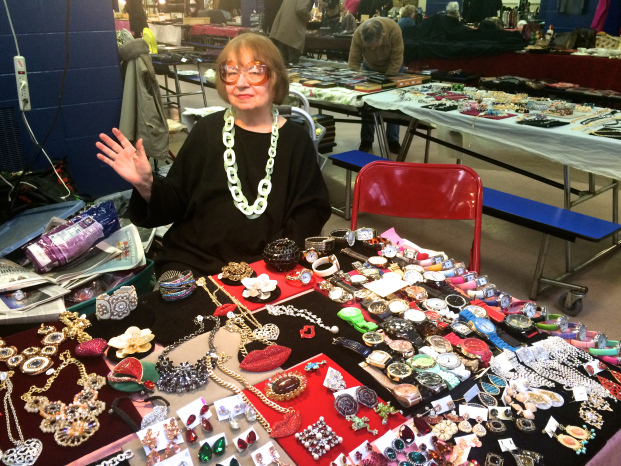 Marjorie also designed and sold costume jewelry at the Greenflea Market for over 20 years. She was a passionate foodie and fixture of the NYC restaurant scene. Marjorie worked at the NYC Mayor's Office for 17 years and wrote proclamations for several administrations. She is survived by her brothers Dan and Robert Mortensen. Marjorie was very dedicated to The Tibet Center. We are so grateful to her for her good works on behalf of Tibetans and their culture. We will miss our friend. A Catholic mass will be held for Marjorie this Friday, December 16th, at the Chapel of the Sacred Hearts of Jesus and Mary at 10am - 325 East 33rd Street, New York, NY 10016 213 6027. As Marjorie would've wanted, in lieu of flowers donations can be made to your favorite Tibetan charity or The Tibet Center.